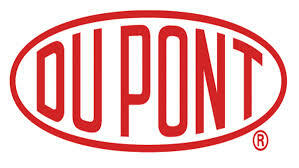 DuPont runs several training sessions around the world to increase its managers’ awareness of the importance of internal cooperation and leadership. One key component of these five-day sessions is business game The Fresh Connection, which helps the chemical company to combat ‘silo thinking’. Vivek Sharma and Alec Yan are just two of the large group of DuPont managers from Asia and Australia who recently spent four days playing The Fresh Connection. The business game has changed the way they interact with their supply chain colleagues. “I’ve learned that transparency, openness and an understanding of other people’s perspectives are key to business success. says Sharma, who as Business Leader of DuPont Protection Technologies in India is predominantly involved in sales and marketing. Meanwhile, for his colleague Alec Yan, Global Marketing Manager of DuPont Chemicals & Fluoroproducts, the game served to reinforce the importance of a shared strategy, good cross-functional communication and teamwork. For DuPont, The Fresh Connection represents a new training method which is being used all over the world. “Integrated Business Management is a relatively new concept for us. We could choose to focus on explaining this concept to our managers face-to-face, but we think that the practical aspect of The Fresh Connection adds a valuable extra dimension,” says Dean White, Talent Manager at DuPont Asia Pacific. However, The Fresh Connection is more than just a different way of learning. “It’s also a way of helping people of different nationalities to learn to cooperate, and of allowing them to experience what it’s like to work in a role other than their own: a sales manager can be a supply chain manager, or an operations manager can step into a purchaser’s shoes,” explains White, whose decision it was to spread The Fresh Connection out over four days. “That way, participants have more time for reflection in between each individual round of the business game,” he continues.